Credit Card Debt Negotiation - Should You Negotiate with Creditors? Should You Try Settling with Your Creditors? 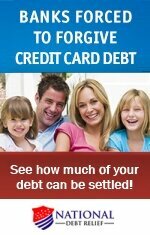 Credit card debt negotiation can be a good or bad debt relief strategy, depending on your individual situation. data-custom-mark="true"Debt negotiation is a formal agreement you or your legal representative work out with your creditors, which enables you to fulfill your obligation by paying an amount less than what you actually owe. The main incentive for your creditors to settle your debt for a lesser amount is to protect themselves from further loss should you decide to file bankruptcy. When is negotiating your credit card debt a good idea? Here are few questions to answer that will enable you to assess whether settlement is a viable option for you. Do you own multiple credit cards that are at or near their spending limit? Are you barely managing to pay just the minimum amounts due on each of your cards? Have you been missing payments? Are you a few months past due? Have you tried other debt relief solutions, including credit counseling, a debt management repayment plan, and/or consolidation? Do you foresee no possible way in the near or distant future to make regular payments that will ultimately enable you to pay off your credit card debt? Are you seriously considering bankruptcy? If you answered Yes to the majority of these questions, then credit card debt negotiation may be the only alternative left for you, short of filing for bankruptcy. If you are earning enough income to make your card payments, or have just missed a payment or two because of unforeseen circumstances, then debt settlement is NOT right for you. Moreover, if you want to lower your interest rates, better manage your payments, and/or get out of debt once and for all because you are tired of it, then settlement is again NOT right for you. In these situations, there are much better solutions. 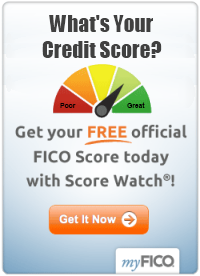 Specifically, credit counseling and consolidation are more suitable for your circumstances. While the thought of reducing the amount you owe on your balances is highly appealing, be aware that debt settlement can do serious damage to your credit history and rating. The settlement stays on your credit report for seven years, compromising your ability to buy a home, get a mortgage, or qualify for any type of loan. After debt settlement, it may take years to be approved for unsecured credit. If you are approved, it is likely your interest rate will be significant. In addition, you will likely owe taxes on the debt that was forgiven.